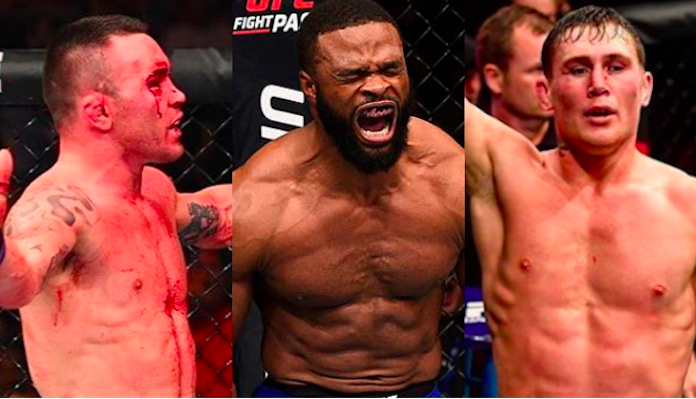 The UFC welterweight division has suddenly been consumed by chaos. 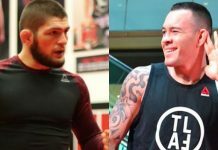 According to a report from ESPN, the UFC is considering stripping interim welterweight champion Colby Covington of his title, and promoting an undisputed title fight between champ Tyron Woodley and challenger Darren Till. According to ESPN’s report, the UFC was hoping to book Colby Covington and Tyron Woodley for a title unifying showdown at UFC 228, on September 8 in Dallas. For reasons not yet known, however, Covington is allegedly not able to fight on this card. With Covington unavailable, the UFC reportedly began targeting a title fight between Woodley and Till. If Woodley defends his title, of course, it would negate any need for an interim title, which is likely why they’re considering stripping Covington. Tyron Woodley has not fought since July of 2017, when he made a third successful defense of his title opposite Demian Maia. 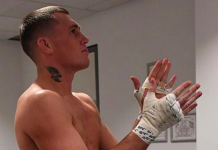 His first two defenses both came against Stephen “Wonderboy” Thompson, who he first battled to a draw, then defeated by majority decision in a rematch. Woodley won the title with July, 2016 destruction of Robbie Lawler. Colby Covington, meanwhile, last fought in June, when he defeated Rafael dos Anjos by decision in the co-main event of UFC 225. It was this UFC 225 victory that earned him the interim welterweight title. 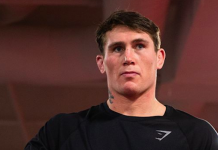 Darren Till, finally, last fought in May, when he picked up a controversial decision defeat over Wonderboy in his hometown of Liverpool. Till missed weight for this bout. 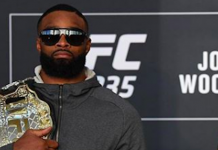 Does a welterweight title fight between Tyron Woodley and Darren Till interest you? 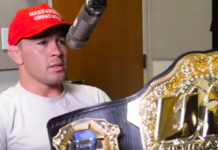 Do you think it would be right of the UFC to strip Colby Covington of his title so soon after he won it? 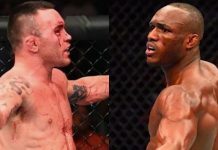 This article first appeared on BJPenn.com on 7/19/2018.